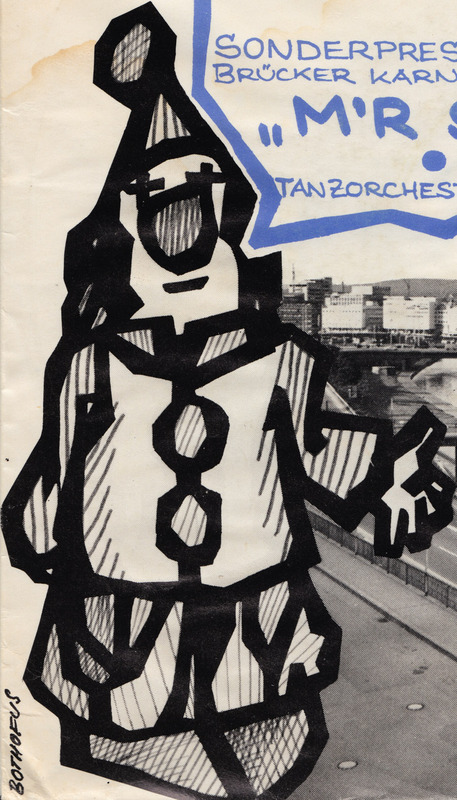 Those damned purple Opera sleeves! Why did the design have to be so persitently unimaginative? It could not have hurt to put a little illustration or a photo on the sleeve. No! A cheap product had to look cheap. 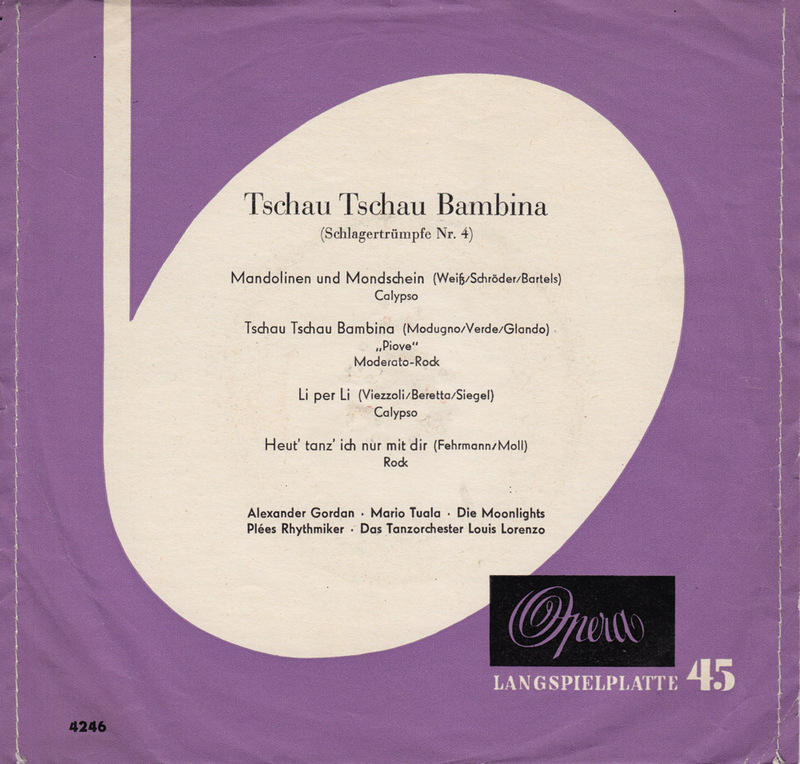 But Opera didn´t purely release cheap cover songs, they also put out quality records by established artists like Django Reinhardt, Duke Ellington, Ella Fitzgerald and Louis Armstrong and a new generation of German jazz groups like the Albert Mangelsdorff Septett,Helmut Brandt Combo and the Spree City Stompers. 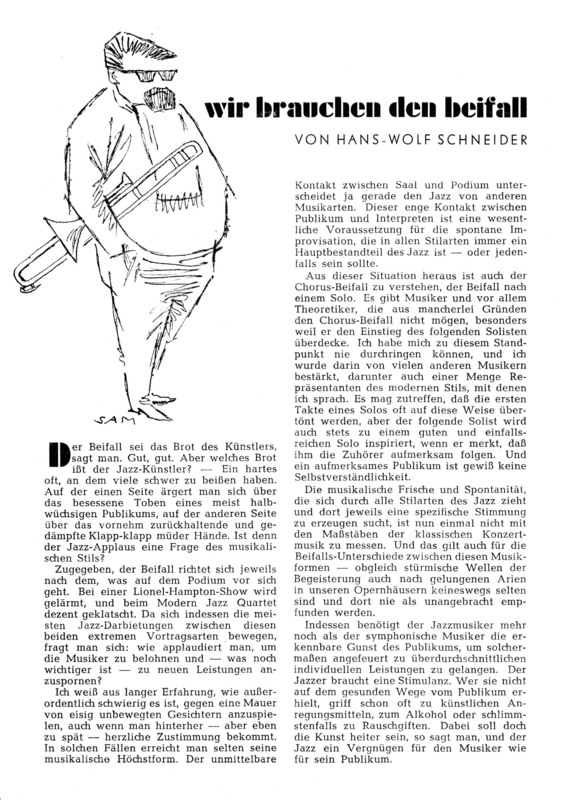 Trombonist Hans-Wolf “Hawe” Schneider (1930 – 2011) formed the Spree City Stompers, who became one of the most popular German trad jazz bands, in 1951. 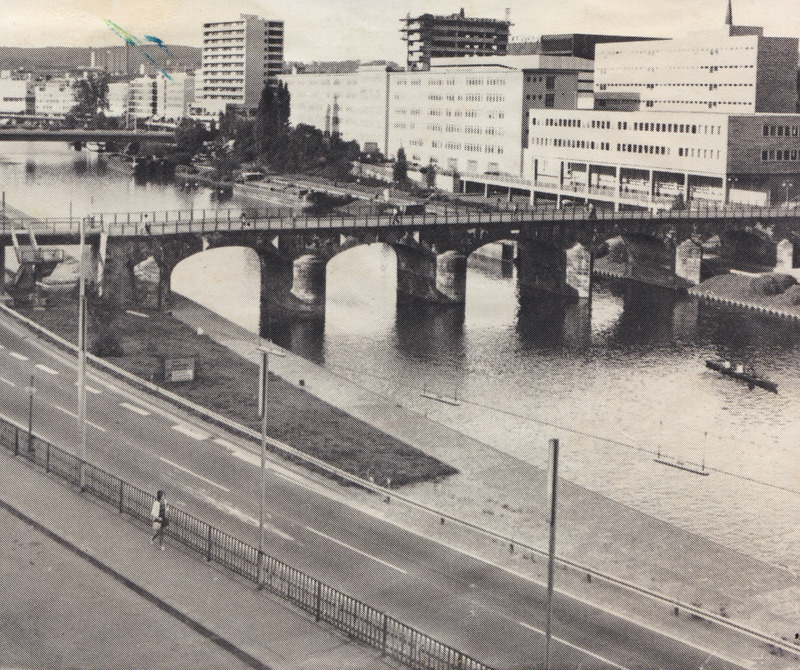 Two years later he also opened the legendary “Eierschale”, along with “Badewanne”, the best German Jazz clubs. Louis Armstrong, Ella Fitzgerald, Duke Ellington and Kid Ory appeared at “The Eggshell”. A website dedicated to the cellar pub is here. 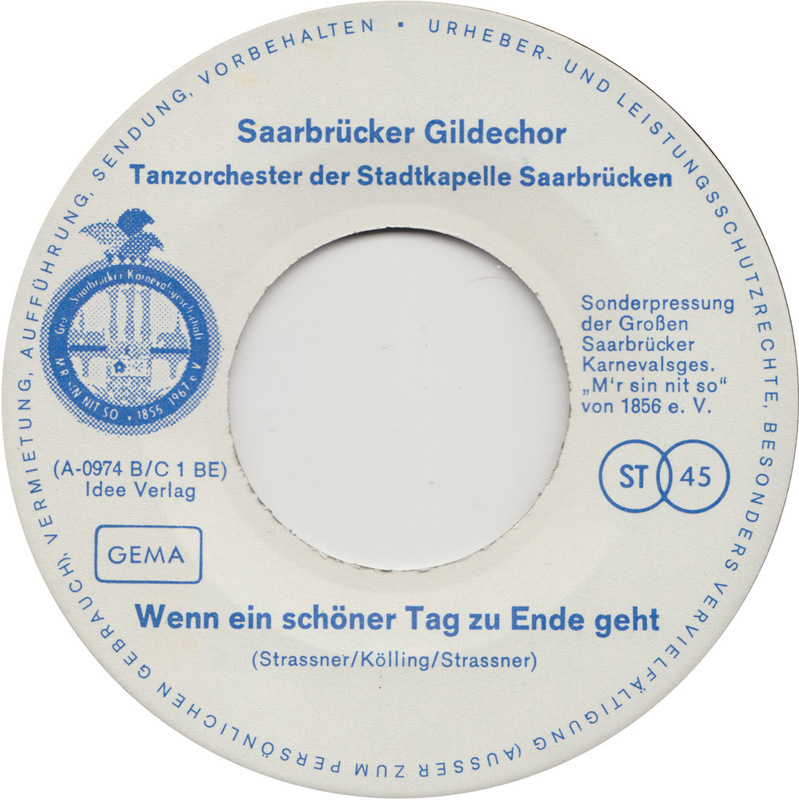 The Spree City Stompers first recorded with Brunswick in 1955, then got picked up by the German Vogue label. 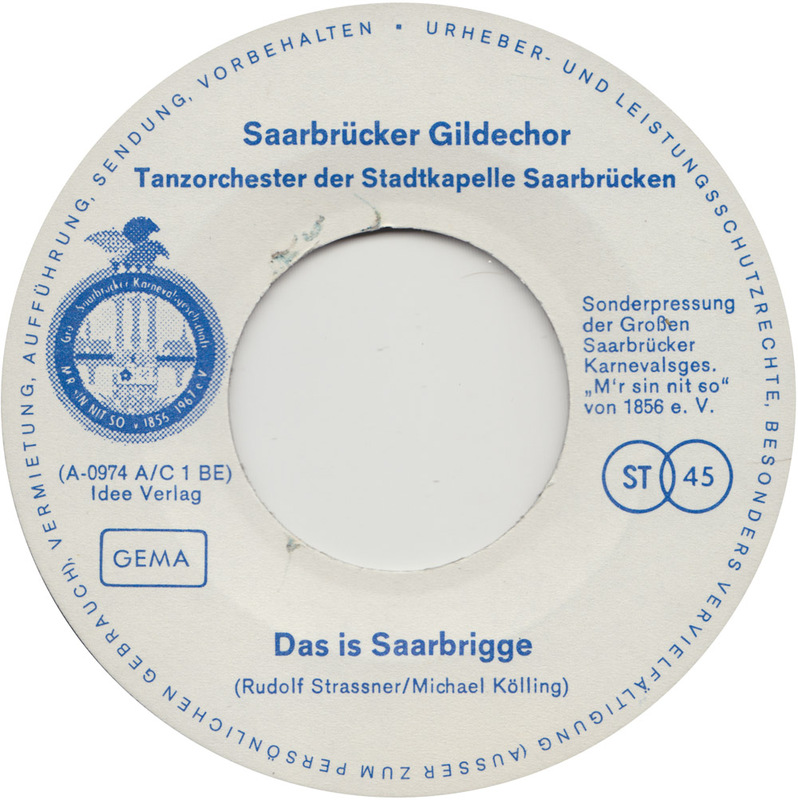 They also cut a 10″ album “Jazz aus der Eierschale”, together with “Wild” Bill Davison for the budget Bertelsmann/Manhattan label. 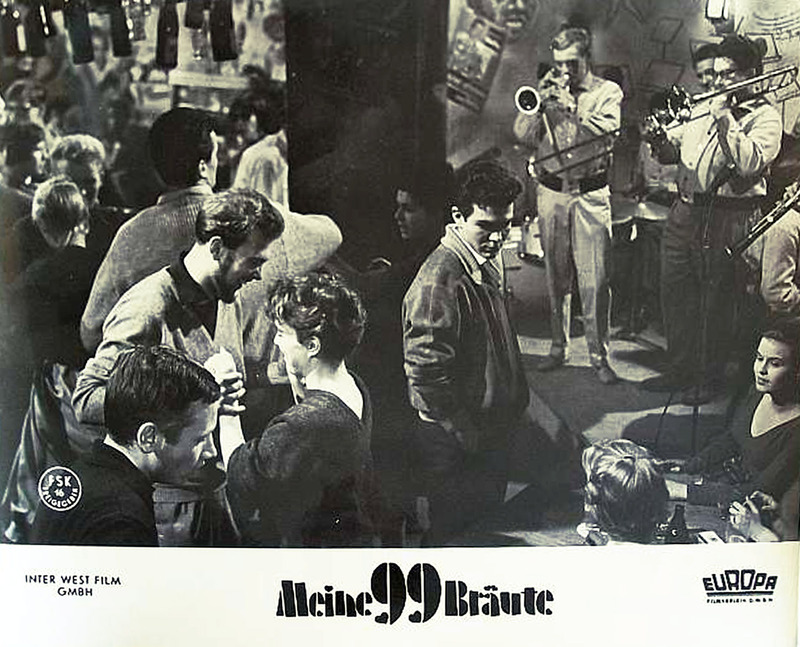 They toured Western Europe, Poland, Yugoslavia and Africa, appeared in films and on TV and hit the German charts twice in 1961 with “Warte, warte nur ein Weilchen”, a black humored song that dealt with the 1920´s serial killer Fritz Haarmann, and “Brigitte Bardot”. 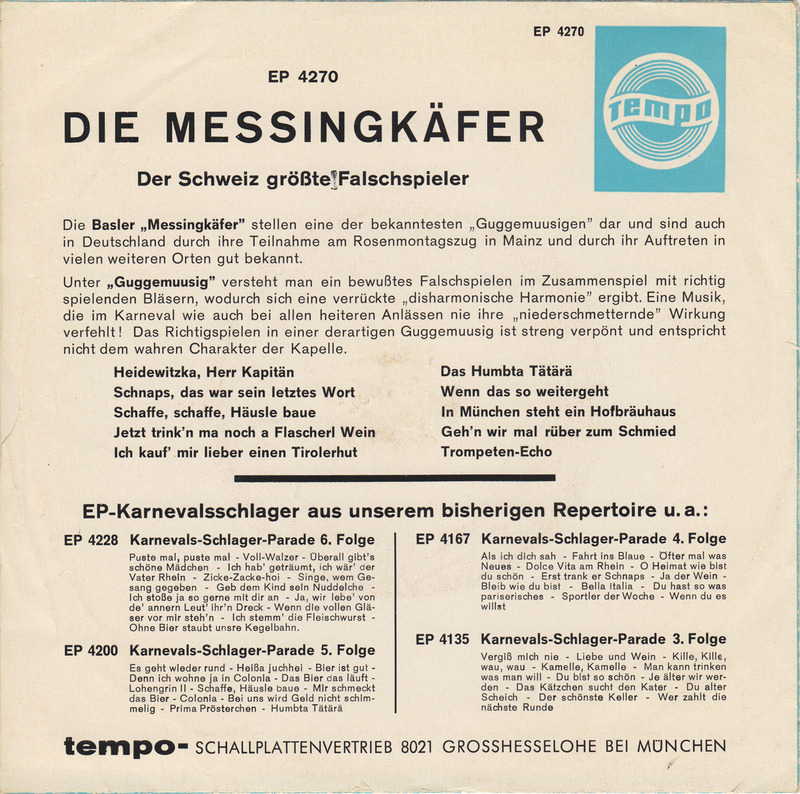 The band dissolved in 1968, when Hawe Schneider moved to the Black Forest region. He stayed active in the jazz scene, his last performance being with the Black Forest Jazz Band in 2007. 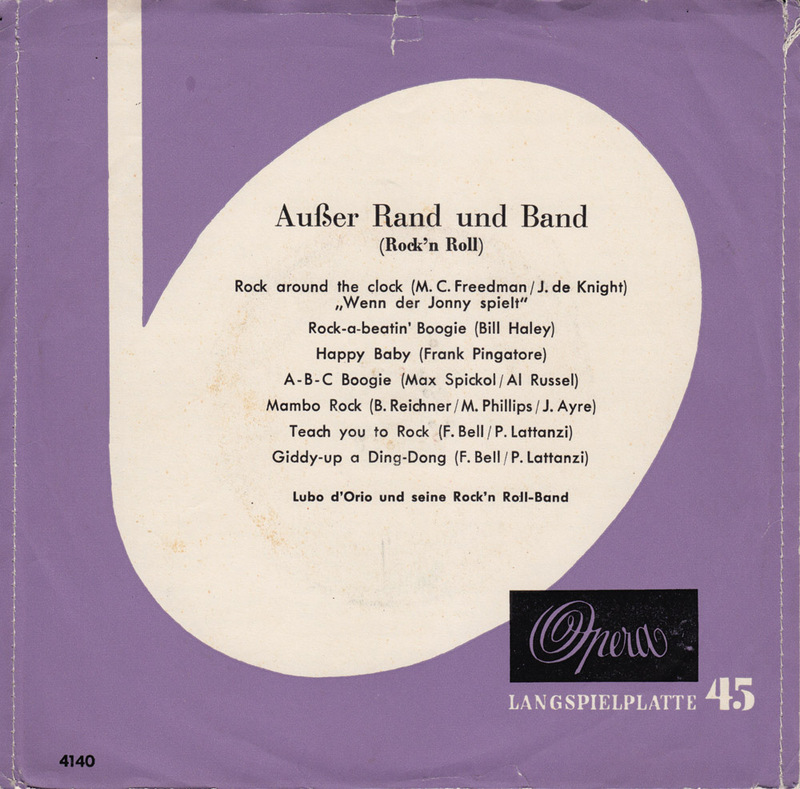 After their Brunswick recordings and before their Vogue deal, the Spree City Stompers recorded this EP for Opera in 1958. It has never been re-released in any format. 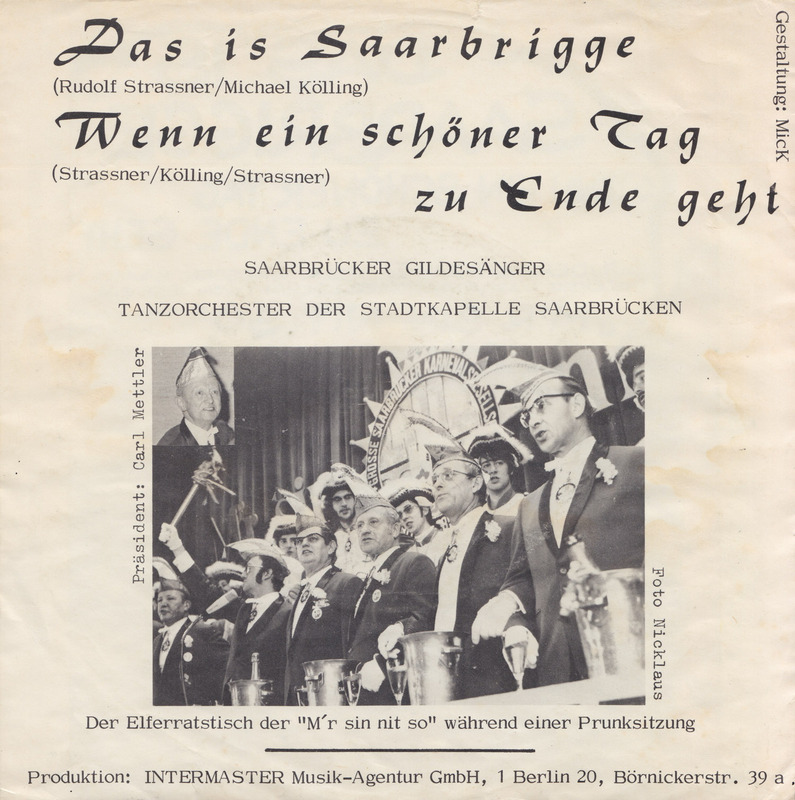 The Spree City Stompers were: Hawe Schneider (tb), Peter Strohkorb (cl), Gerd Vohwinkel (tp), Björn Jensen (bj), Martin Piepkorn (p), Tilo Wendell (bs and sousaphon) and Udo Künitz (d). 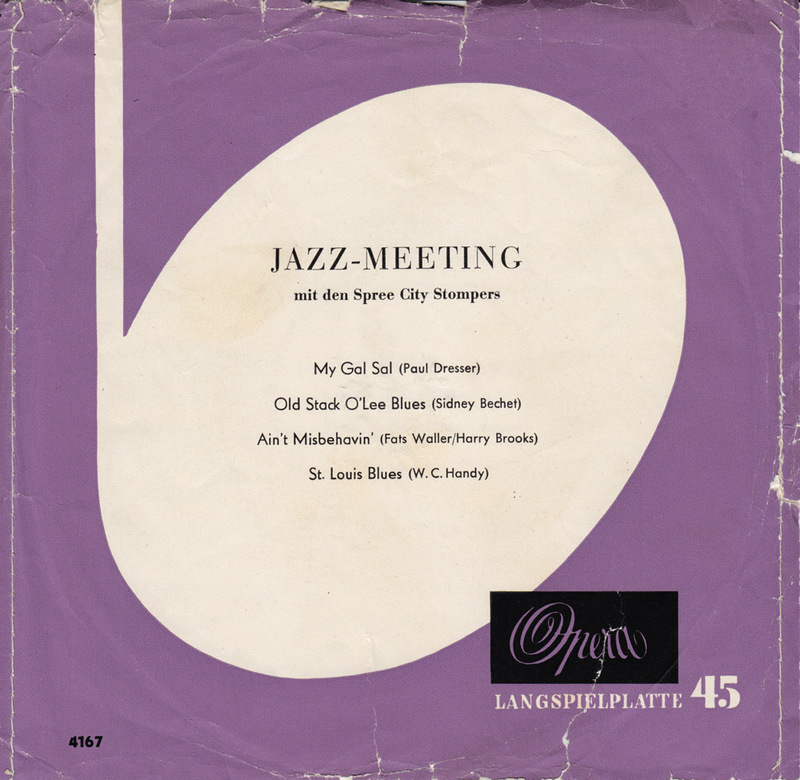 Jazz musicians of the swing era, like Count Basie, Sy Oliver and Lionel Hampton all dabbled in rhythm & blues and early rock´n´roll, maintaining the close link of jazz and dance music into the 1950s. 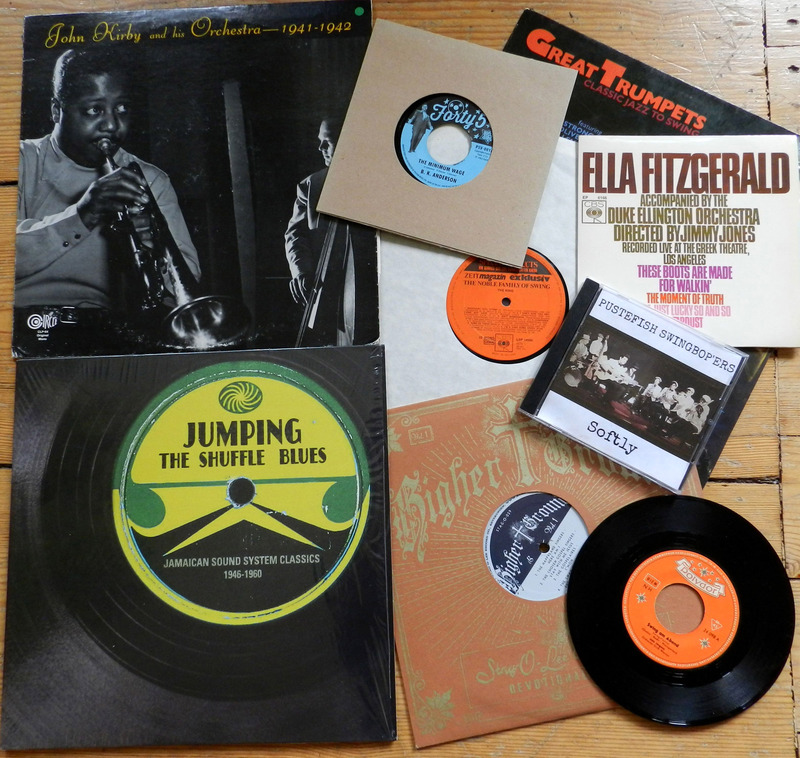 Largely to no avail, both jazz and rock´n´roll fans dismissed their efforts as commercial. 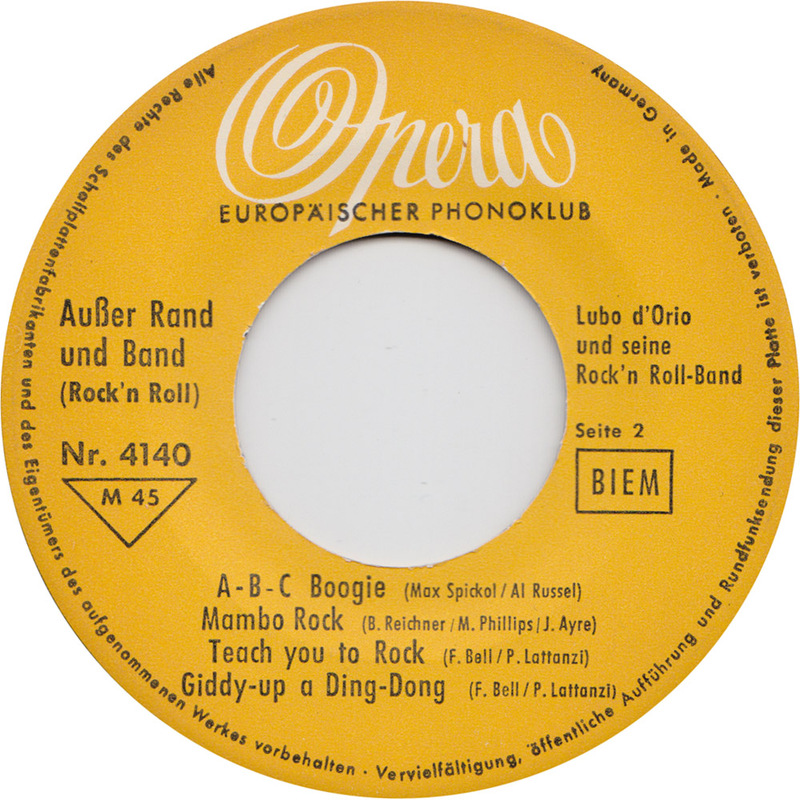 In 1956, the prolific Berlin swing-orchestra leader Lubo D´Orio (1904-1983) recorded two boogie and rock´n´roll EPs for the Opera record-club label. I posted the Boogie EP three years ago, but just a while back I also found his other Opera EP in a local charity shop. This EP features five tracks from the film Rock Around The Clock starring Bill Haley and Freddy Bell and his Bellboys. 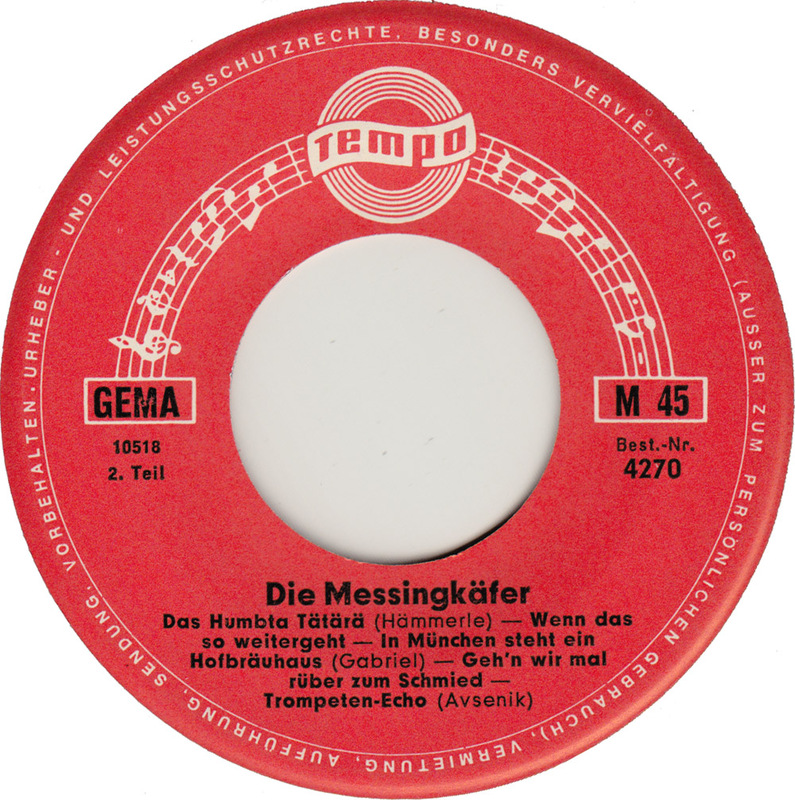 While never re-released in any format, the tracks are fairly well known among German rock´n´roll collectors, but because they fall in-between big band swing and rock´n´roll, have largely been neglected or even ridiculed as second-rate rock. They´re too rockin´ for the swing fans and too swingin´ for the rockers. Apparently not much has changed in the evaluation of this budget record in the past 60 years, even down to the price: I paid one Euro. 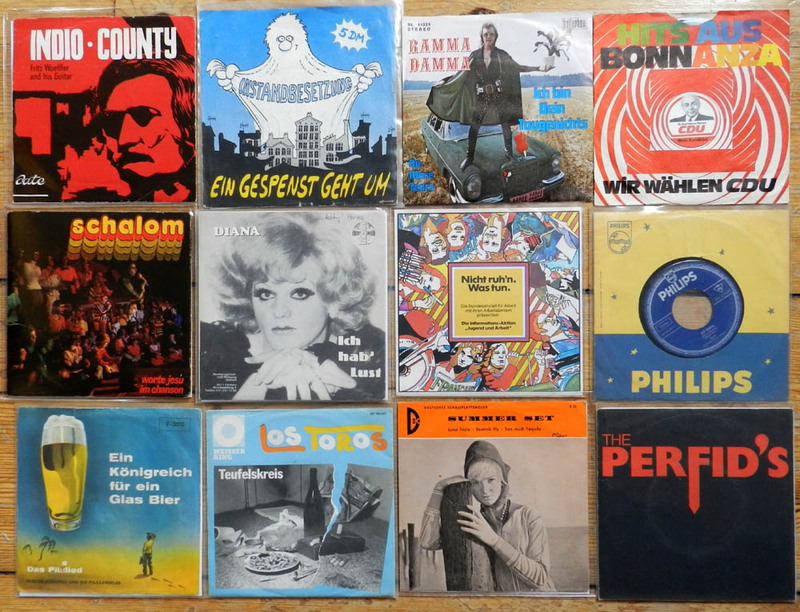 Alexander Gordan (1926-2008) was a busy bee in the burgeoning Berlin pop-market of the 1950s and 60s. Early in his career, he performed as a bass-vocalist in various small groups, tried to go solo in the late 50s, but eventually was more successful as a song writer. 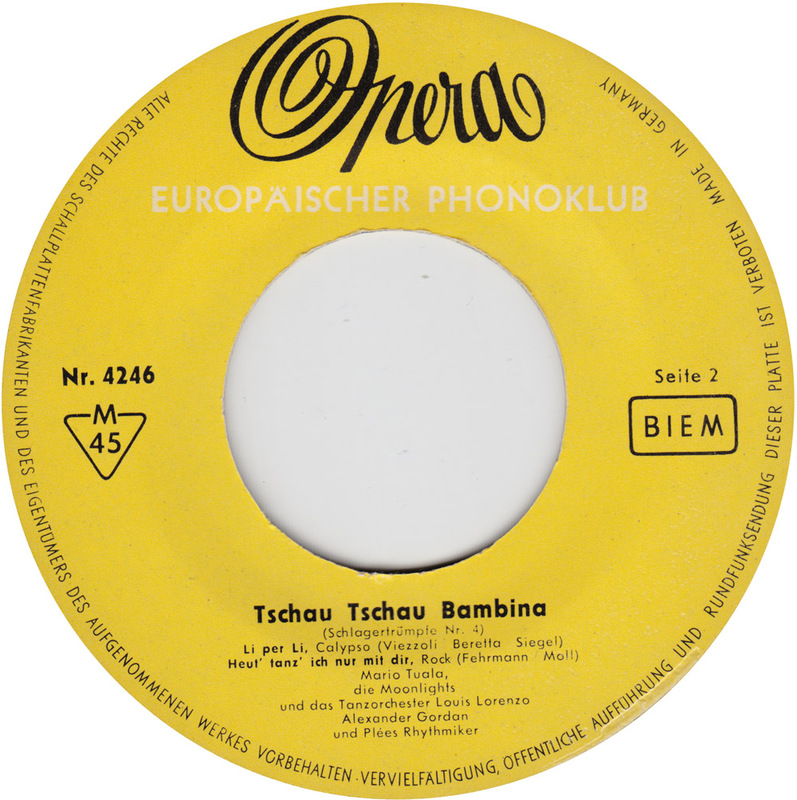 His first big break was writing the lyrics to the German cover version of Pat Boone´s “Speedy Gonzales”. 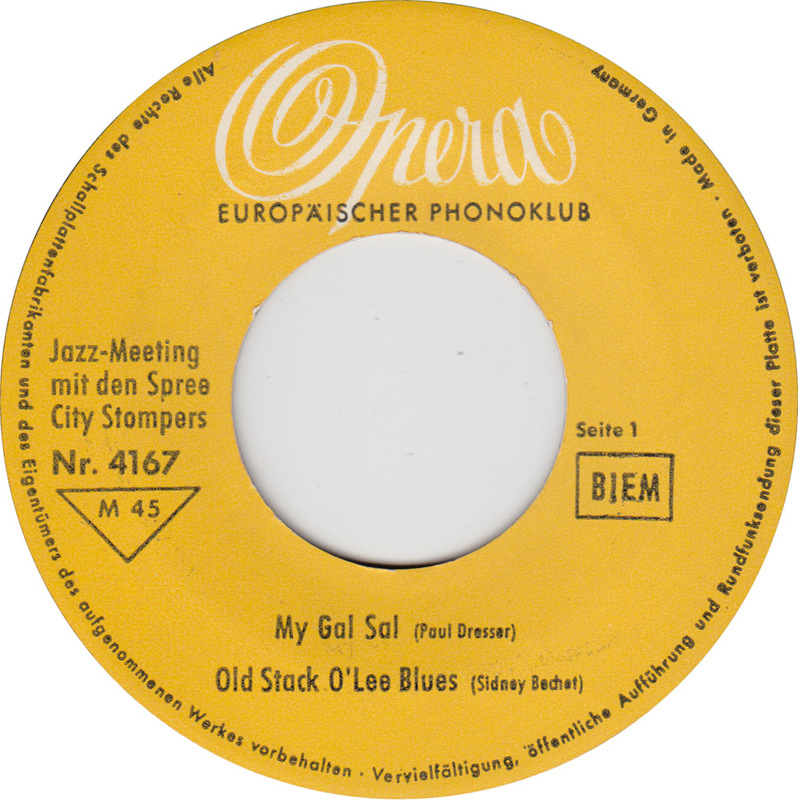 Rex Gildo reached #1 in the German charts in 1962 with his version, alongside Boone´s. 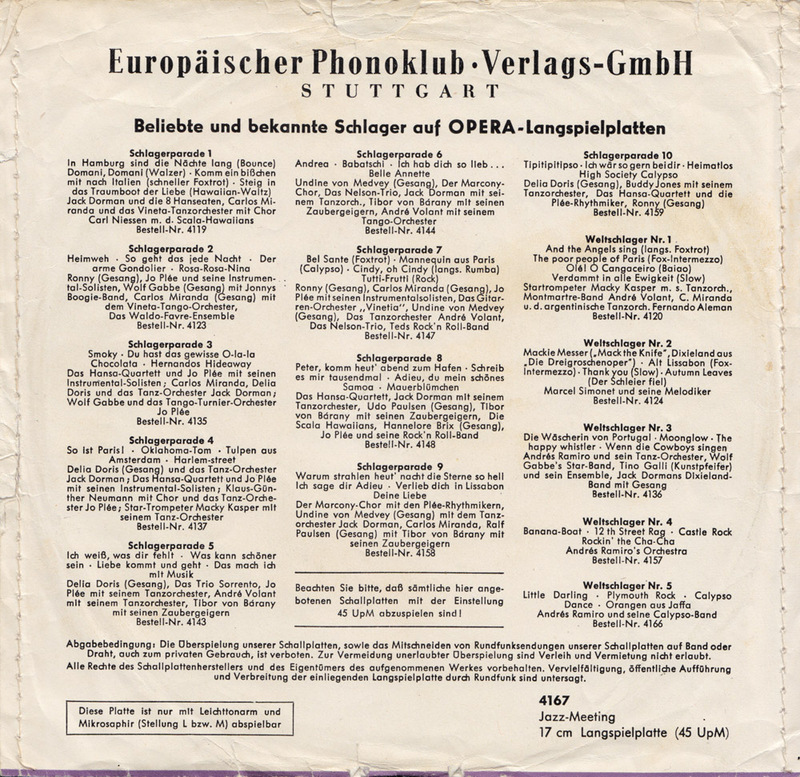 Gordan also recorded his own version for Opera. 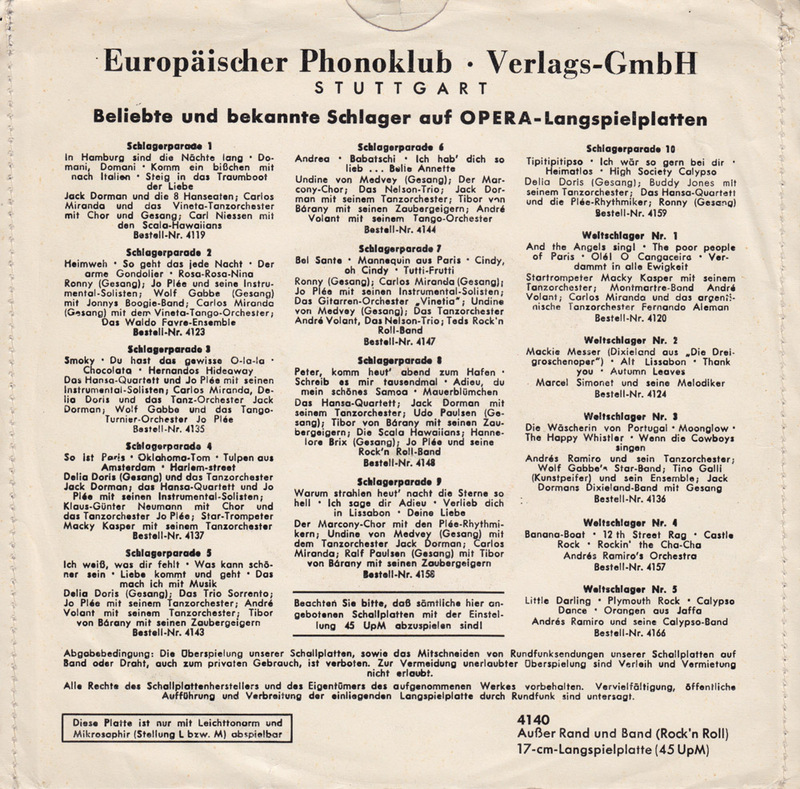 The Opera record club mostly put out cover songs, but occasionally an original song slipped through. 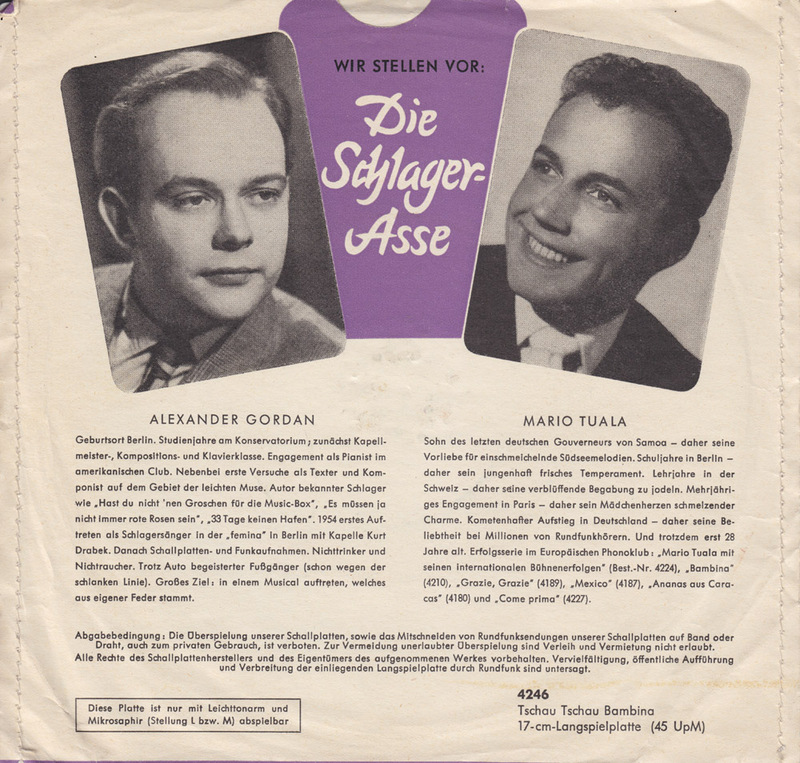 Alexander Gordan´s “Heut´ tanz ich nur mit dir” was exclusively issued for Opera – Europäischer Phonoklub. It went by unnoticed and has not been re-released in any format since 1959. 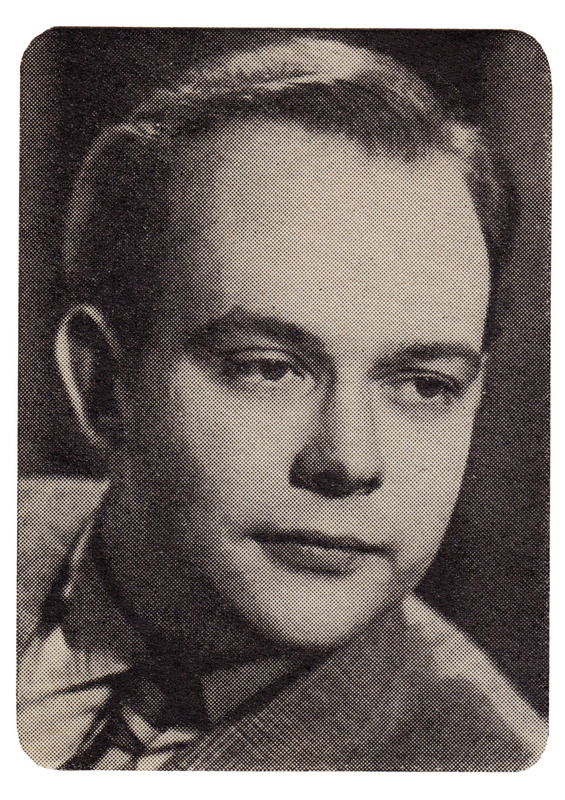 Alexander Gordan wrote for artists like Gerd Böttcher, Caterina Valente and Suzanne Doucet, my favorite being”I Like Jimmy” from 1964, for the duo The Chicks. 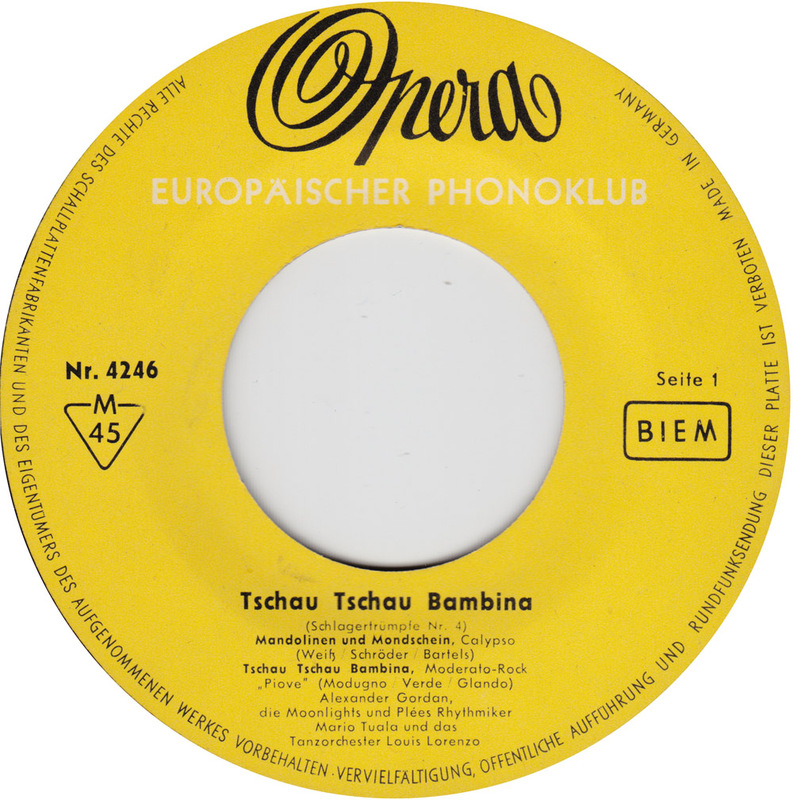 It was the flip to Ich Will Deine Liebe, the German version of the Dixie Cups #1 smash “Chapel Of Love”. I couldn´t find “I Like Jimmy” online, so I might post it some other time. 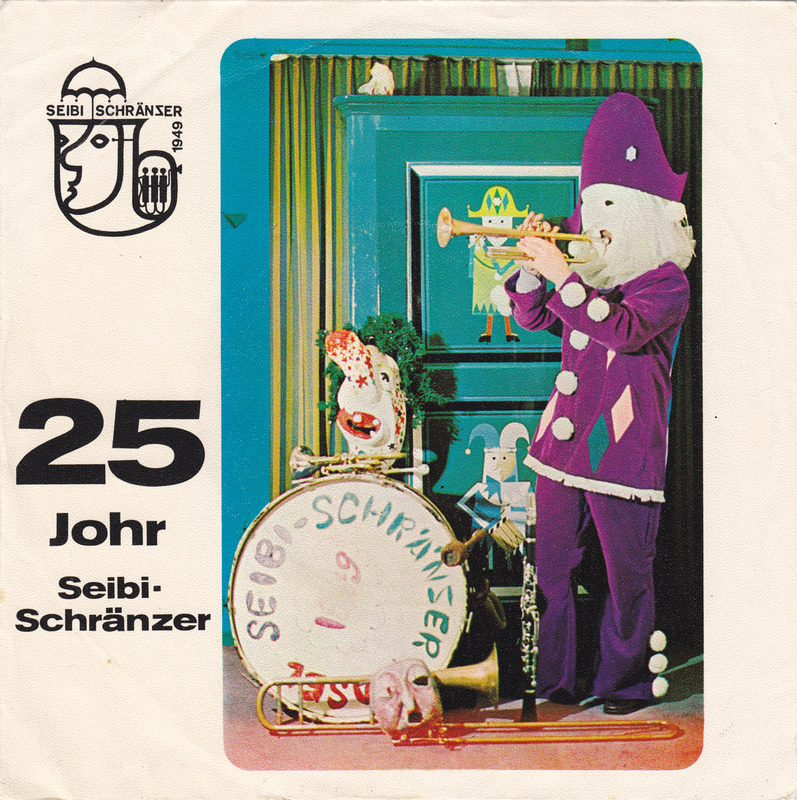 It´s great up-tempo schlager-beat. 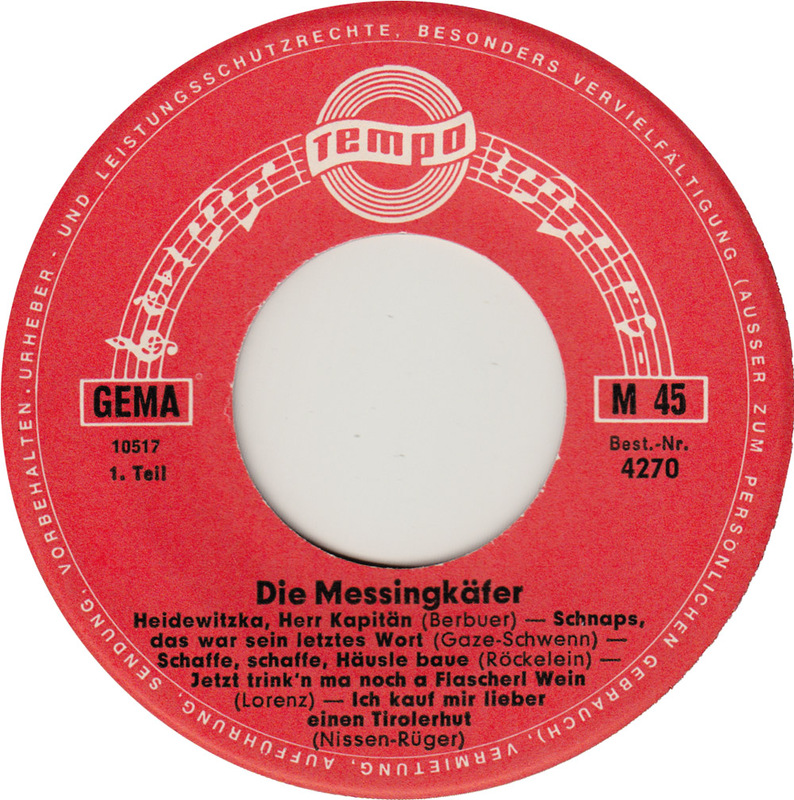 This record presents the marching brass band “Die Messingkäfer” – The Brass Beetles, from Basel. 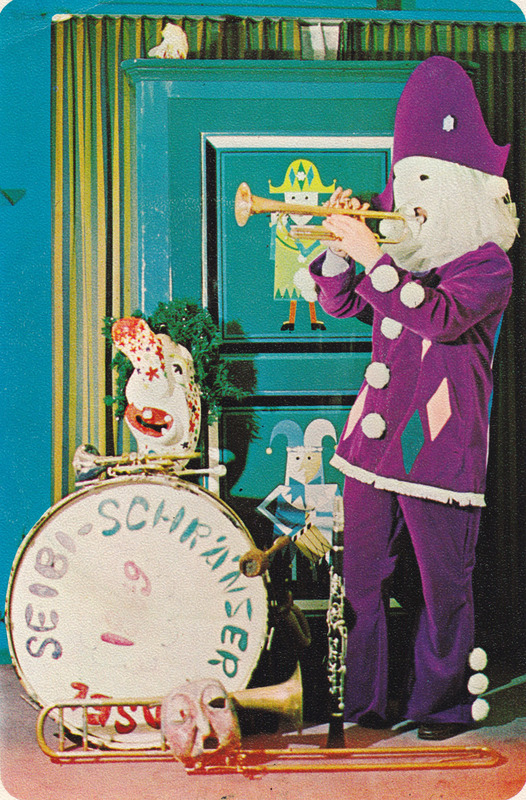 A regular of the Basler Fasnacht, they were guests of the Carnival celebrations held in Mainz and many other German cities on the Rhine in the mid-1960s. 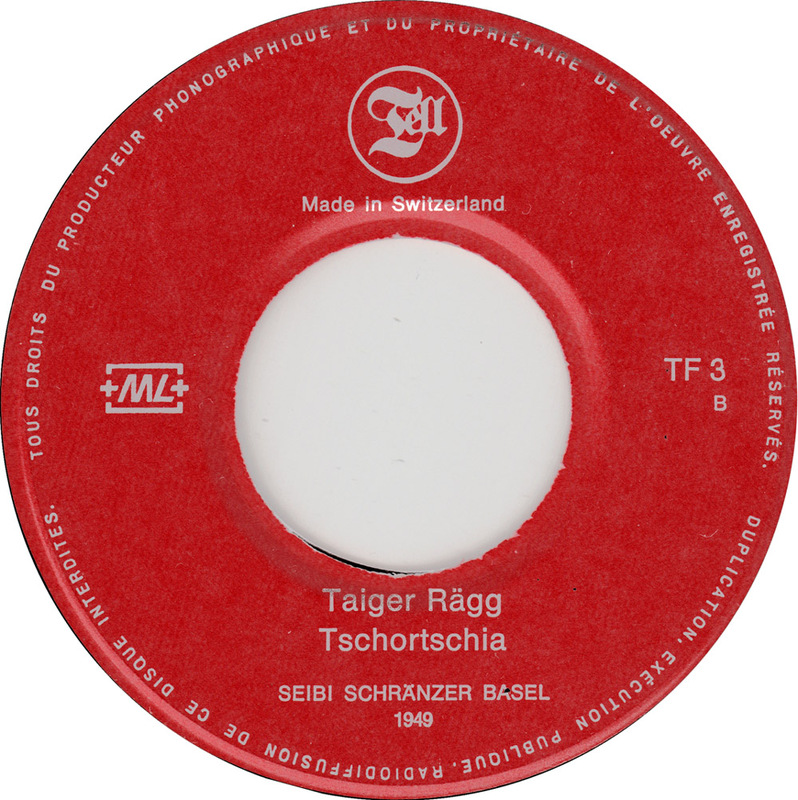 The narrator of the record, speaking with a broad Swiss accent, calls Guggenmusik “the Pop-Art of Faßnacht”, a pretty good description of the humour and “crazy disharmonic harmony” of this style of music. 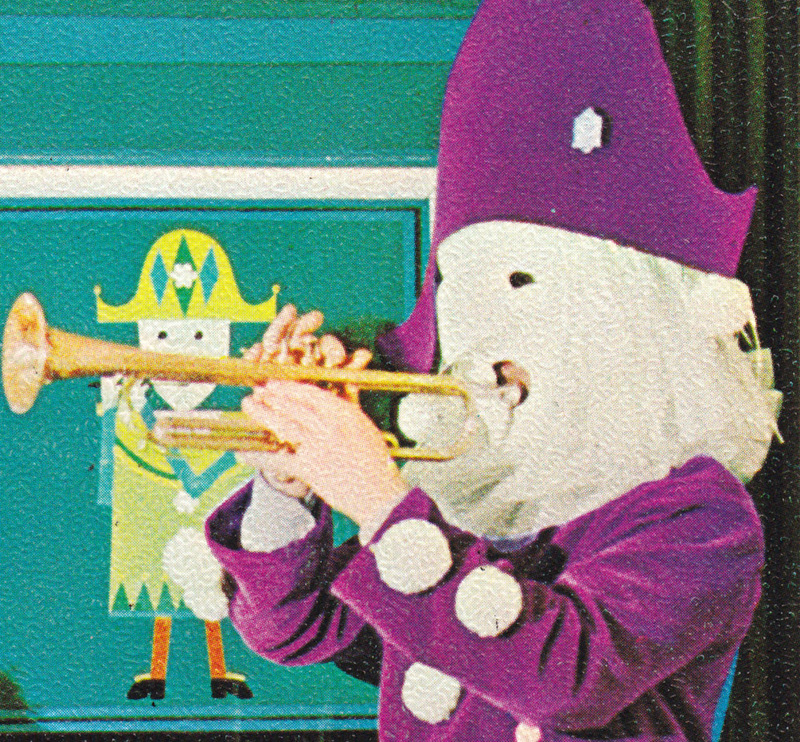 Playing “right” is strongly frowned upon by “Guggemuusig” bands. Here are a bunch of hit songs played deliberately wrong by the Brass Beetles – The biggest swindlers of Switzerland! Die Messingkäfer – Der Schweiz größte Falschspieler! 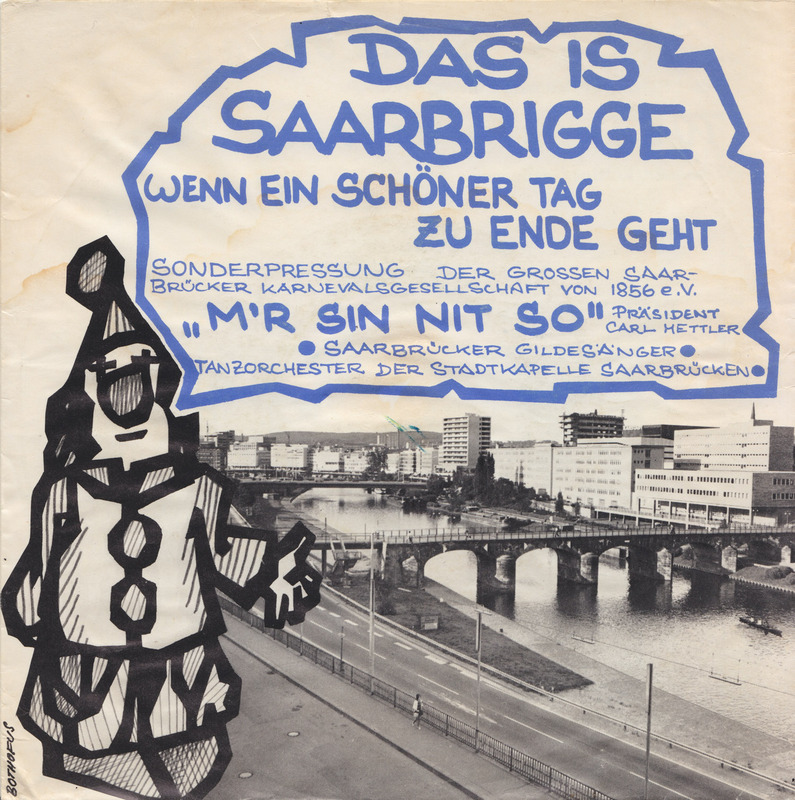 Carnival is not officially celebrated in Berlin, but because it´s Carnival time now, here´s a Carnival record from Basel, Switzerland. 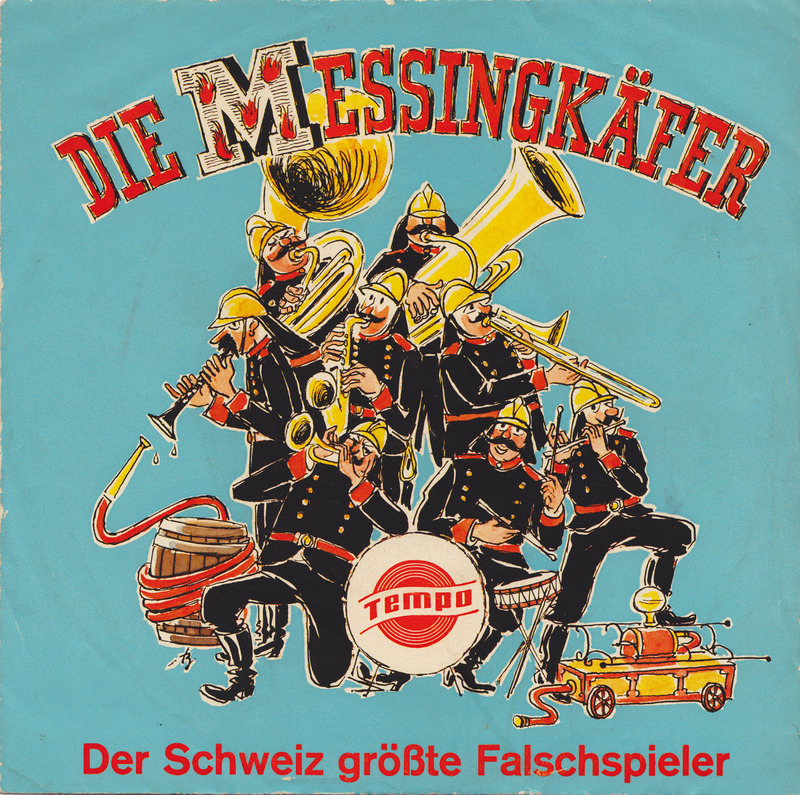 Deliberately playing out-of-tune may seem like a relatively modern stylistic device in popular music, but it has a long tradition in Switzerland, even dating back to the middle ages. 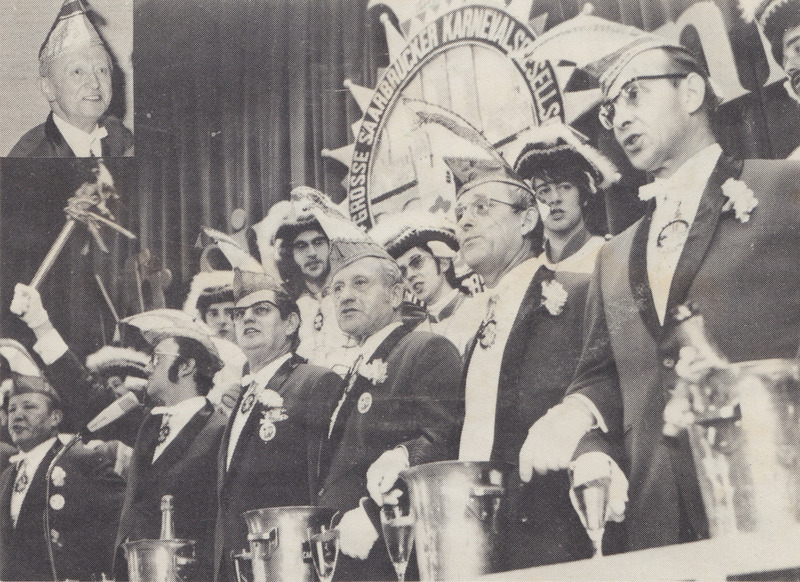 During Carnival, amateur brass bands specialize in a brand of noisy music called Guggenmusik, a concerted cacophony where certain instruments play in tune while others deliberately do not. The point is to submerge the original song in noise, while still keeping it recognizable. 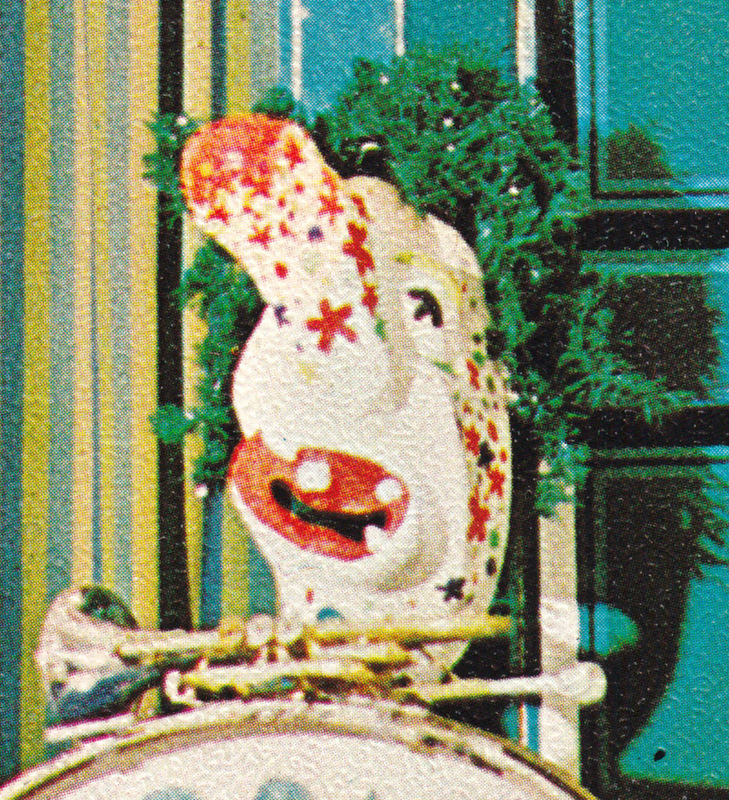 Today Guggenmusik bands have current pop songs in their repertoire. 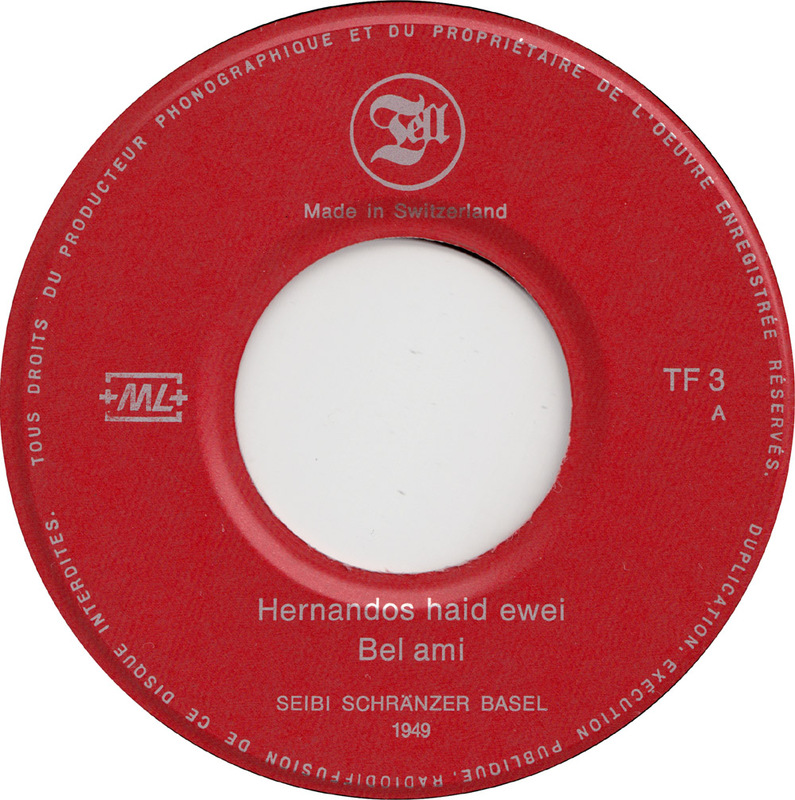 In 1974 the Seibi Schränzer from Basel recorded their interpretations of Hernando´s Hideaway (from the 1950s musical/movie The Pajama Game), Bel Ami (a German schlager from the 30s) , Tiger Rag (Original Dixieland Jass Band, 1917) and Georgia on my Mind (written by Hoagy Carmichael in 1930 and made famous by Ray Charles through his version in 1960). 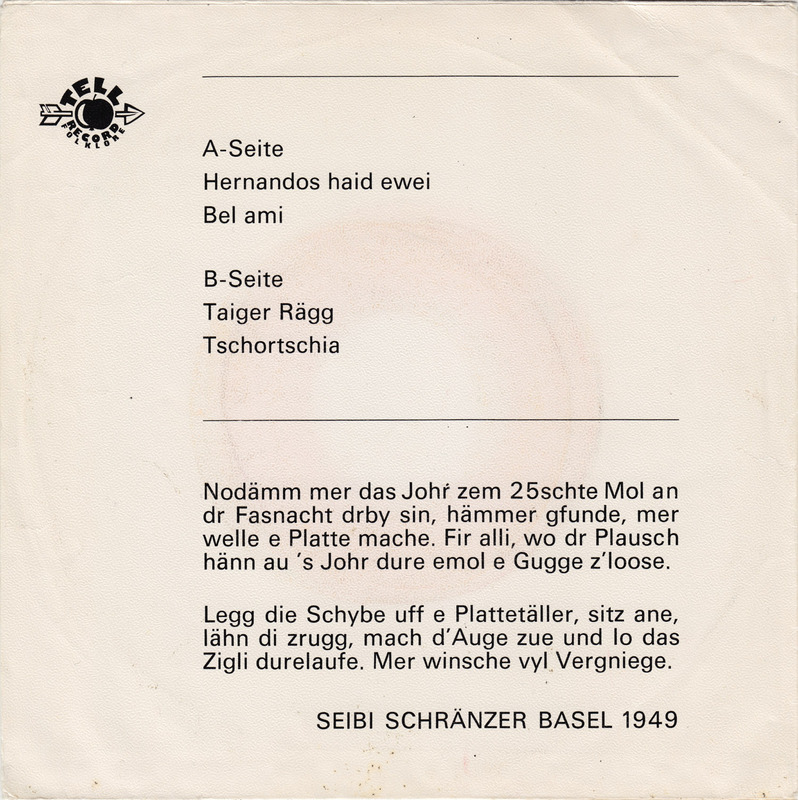 Einen kleinen Text über diese Platte schrieb ich bereits im Oktober 2013 in dere Jungle World. Last week, Jörg and I did another one of our monthly OUTSIDE TURN radio shows on Pi-Radio. 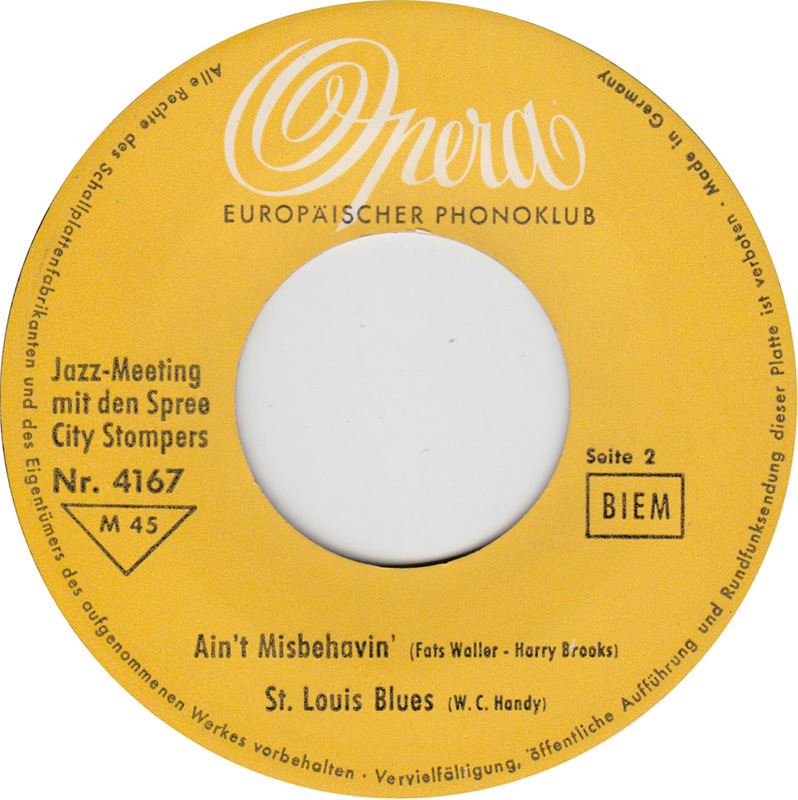 We played our usual mix of swingin´ jazz tunes and talked about the current swing dancing scene.